The United States has conducted five atomic weapons tests in outer space. On July 9th, 1962 they conducted a test that would become known as Starfish Prime. The test was done in the Pacific and exploded so high that it devastated the satellites that were orbiting the earth. It wasn’t the explosion that mangled the satellites, it was the electromagnetic energy. The blast even affected electronics down in Hawaii. This gave developers of these weapons a peek into the potential of an EMP, short for electromagnetic pulse, as a weapon. The damaging effects of an electromagnetic pulse are not just man-made. The sun could also hit us with a blast powerful enough to shut off the lights. The solar storm of 1859 or “The Carrington Event” was visible from places across the planet. In fact, Australian gold miners who witnessed the aurora from the event began making breakfast because they thought the sun was rising. Thankfully, in 1859 there was very little for an EMP from the sun to affect. Still, telegraphs failed all over the US and Europe. Some people even claimed to have been shocked when using the machines. Had there been a world of power grids to destroy, it would have been a much different story. According to Energy.gov, “America’s electric grid is actually comprised of three smaller grids, called interconnections, that move electricity around the country. For an EMP to shut America off, it would need to affect all three of these power grids. Therefore, the atmosphere above the Midwest has been speculated as the best target for an enemy to detonate a high altitude nuclear bomb that would trigger a HEMP (high altitude electromagnetic pulse) that could damage all three grids. It makes sense that our power grid should be as well funded and fortified as possible. We should have the best three power grids on the planet and they should already be immune to the effects of a known risk like an EMP, right? According to the same article from Energy.gov, “Since 2010, the Energy Department has invested more than $100 million to advance a resilient grid infrastructure that can survive a cyber incident while sustaining critical functions. The upkeep of our power grid has only landed a measly $100 million dollars over the last seven years! That might sound like a lot, but don’t be fooled. That is far less money than is needed, and today we are still left unprotected from a potential EMP blast. Remember, the EMP does not just come from hateful nations. Our sun could decide to burp out a life-changing blast of energy that would power down our whole planet. Experts agree that if an EMP strike from the sun or from a nuclear blast were to hit the USA and down all three of our major power grids, it would result in the death of 90% of the population in just one year. This is a staggering statistic that on the face might seem a bit extreme. What would a nation look like with just 10% of its population left? In America, that’s around 32 million people, a population about the same size as the state of Texas. According to this article, experts told a House Homeland Security subcommittee the following: “With the development of small nuclear arsenals and long-range missiles by new, radical U.S. adversaries, beginning with North Korea, the threat of a nuclear EMP attack against the U.S. becomes one of the few ways that such a country could inflict devastating damage to the United States. So why is the outlook so bleak? It’s because so much of our lives depend on electricity. Let’s take a quick look at the essential services that would be affected by an EMP. Remember, anything that requires electricity in any form could be affected or destroyed. One of the more interesting things to consider about an EMP attack is how long it would take for people to realize what they’re dealing with. For the public, the full scope of what a powerful EMP means could spiral them into total despair. How long could people last without the above-mentioned services? One of the biggest killers would be water and foodborne diseases. Without medical facilities, we would become very similar to the animals that are kept in factory farms. In large metro areas, we would be huddled together in apartments, surrounded by our own waste, and it wouldn’t be long before disease started taking out tens of thousands of people. For those of us who are prepared, it would still be a hard pill to swallow. Everything changes after an EMP. If the three grids are damaged, there is no going back. We are thrust back nearly 200 years and the American population is just not ready for that. All throughout history, wars have been fought using many tactics. We watched the great navies of the British dominate the world. Then came the ugly land warfare of the late 19th and early 20th centuries. This gave way to military might through the air that led us up to the point of unmanned drone technology. The EMP creates a new dynamic regarding warfare. Why waste the lives of your own soldiers when you could simply cut the power to a dependent nation and watch that nation dissolve? 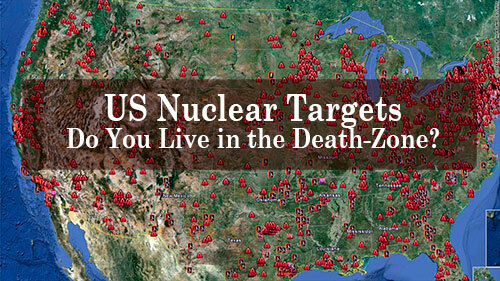 The world would watch America eat itself alive if one of our enemies capitalized on a serious EMP attack. Well, it means you are going to be soldiers in the next war. The next world war will likely be fought using some sort of EMP technology. It is a weakness that other nations are not going to ignore. Whether that blast goes off high in the sky from a weapon deployed by China or a Russia or another enemy, it will come with war. A nation would be foolish not to use that kind of strength against a military as strong as ours. An EMP is arguably the only thing that would stop America (other than total nuclear war). If you believe, like me, that we are all going to be soldiers of the next war… start training. Training like a soldier is not just about how strong you can get (although that helps). It’s also about understanding your enemy and learning how to defeat that enemy. Of course, the most troubling thought of an EMP situation is, your enemies will be the people around you. That is, unless you start recruiting and building a community today! We don’t all have to be passing strangers in a disaster. There is a very real possibility that our nation could be filled with strategic communities who are able to defend and react to whatever an EMP might bring. Get prepared, get in shape, and get ready. It’s gonna take work, but there is a great network of preppers, websites, and podcasts that can help you on your journey. I know it sounds cliché, but if you start today, you won’t recognize yourself in a year. This is your responsibility as an American citizen. Do not become one of the desperate. Whether an EMP blast comes from the sun or from mankind, those who are self-sufficient will be able to survive much more easily than those who aren’t. In fact, this factor could be the difference between those who survive and those who don’t. The moment the lights go out, everything will grind to a halt. No more easy food, water, or heat, among other things. You see, after an EMP the entire world will change, possibly forever. It is estimated that power could be completely restored in about four years. To survive until then, you will need to focus on things like sustainable sources of food, water, security, and heat. The community will play a huge role in this recovery as well. Most Americans have enough space to store about 3 to 6 months of food at best. The idea that you could possibly store a year’s worth of food is stretching it. We are talking about a long-term power outage. An EMP will affect the population for years. Your food will be gone, and you will need answers beyond that. Growing food and raising livestock are going to be some of the most important things you can do. Start now and slowly expand every year. You will also want to explore the world of preservation. Stretch those food items that you are growing. In most climates, you will not have access to food all year. By preserving it, you can dip into that harvest when necessary. Here are a few resources to help you. The storage of water is a tough thing to pull off. Even if you do it well, you can only store enough water for a set amount of time. Water collection is what it will take to be successful, long-term. You will need to investigate things like rain barrels, cisterns or even diverting water from local sources. Remember, you are gonna need to water your gardens as well as drink, bathe and cook. Here are a couple of resources. Bullets run out. Bricks of ammo run out, too. It is hard to know what level of hostility you will face and how much ammo it will take to protect yourself and your family. What I do know is that, eventually, bullets run out. What does security mean after that? How can you secure your home and your family if you use all your ammo in a year? Do you have ammo? Are you afraid of firearms? In an EMP situation, that line of thinking will get you killed. Here are some articles you should read. If you have a home, the creation of shelter may not be the priority, but caring for your shelter should definitely be a priority. Heating and cooling your shelter will be another priority. Without power, there will be no air conditioning or heat. Many people will die from hypo or hyperthermia. You must have plans to avoid these things. While this may seem like a lost effort, there are ways that you can engage your community for the future. A cohesive community can be a wonderful thing to be a part of. It can also be just the structure you need when disaster strikes. A community can use security in numbers to be effective in ways that an individual cannot. If you are looking for ways to engage your community and start down a path towards cohesion and preparedness, check out my book Come Unity; Community. Not to toot my own horn, but it’s a great read. The steps you take today to be prepared for tomorrow will make all the difference in the long run. While it may seem like a big hill to climb, I assure you that every little decision and every little purchase you make will pay back exponentially when the time comes. Don’t be gutted by the horrors of inaction. Today we have time to prepare. Tomorrow may be different. Of course, there are many items you’ll want to have on hand in case of an EMP. While self-sufficiency is the long path, you will also need some hardware to survive the early days after the EMP. Remember, you are going to see calamity on a scale that the world will not be able to handle. An entire nation of 300 million fighting for dwindling resources will be a horror show. To survive, you will likely need a bugout bag, firearms, and ammo. You may have to shoot and kill someone or several people. You will likely need to relocate, and you will always need to be on guard. These items may seem obvious, but there are other things to consider as well. There are many services that will come to an end the moment an EMP strikes, and you must have answers for all of them. Trash cannot be allowed to pile up all over your neighborhood or it will invite pests and they will bring disease. You must give the weather new respect as it will have massive effects on your life. You must also be ready to leave your home at a moment’s notice. So, a well-oiled bugout plan with well-constructed bugout bags will be necessary. Just picture the chaos. Tired, hungry, sick, and dehydrated people will be flooding neighborhoods in search of resources to keep their loved ones alive. They will find their way to your door, and they may be heavily armed. You will have to keep your family safe and to do so, your best bet will be to bug out fast! The big problem with a powerful electromagnetic pulse is that it will destroy all of your electronics, and our world is made up of so many electronics. These electronics govern our money, our vehicles, and our freedom. Without them, things get crazy fast. To mitigate the powerful punch of the EMP, you can create a Faraday cage which will protect the electronics placed inside. This container will have to be insulated from the pulse, but this is not that complicated. You can make a small Faraday cage for just a few dollars, but the most common method is to build one using a metal trash can with a lid. This can is insulated using foam or rubber and the items placed inside are often wrapped in foil or more insulating materials. Watch this video to see it done. Just remember, there will be a very small portion of the population that prepares in this way. Your electronics will be like gold in the post-EMP world. They should be kept secret. You may not even want to tell your kids about them as kids have a tendency to blurt out things they aren’t supposed to. Any electronic that you protect from the EMP will be a force multiplier. Whether a light source or an information source or even a power generator, these tools will give you an edge over those who are left in the dark. Use them wisely and be sure that you are not making yourself a target with your technology. It’s true that all electronics will be affected, and that includes most vehicles. Unfortunately, modern vehicles are heavily reliant on electronics to make certain processes work. That is the sad truth of our cars today. That said, EMP simulation tests have yielded mixed results, even on modern cars. I still wouldn’t depend on it, though. Cars made after the mid 80’s have the worst chance of surviving an EMP attack. The ideal vehicle for surviving an EMP is going to be a diesel-run vehicle from the early 80’s or before. If you need more detail, try a 1979 Jeep C59. This automobile is manual and has off-road capabilities to make it effective anywhere you need to go. Another more radical path you could take is to fortify your garage. We mentioned the power of a Faraday cage and how it can protect electronics. You could fortify your garage in the same way. Remember, we are looking for insulation from the pulse. While I wouldn’t recommend covering your whole garage in aluminum, you could consider some high-level rubber or foam insulation on the ceiling and all the walls. Another consideration would be ditching the asphalt tiles for a tin or metal roof. If you are going to include a vehicle in your EMP preparedness plan, you better store up plenty of fuel. The allure of the diesel engine is that fuel can be made. In the long run, it will kill the engine, but in the meantime, you can make your own diesel and have a car that runs even after all the gas pumps are dead. You will want to invest in some jerry cans and be sure you have enough fuel to get to your bugout location. Without that amount of gas on hand, your car could be more of a burden than a help. Just remember, a running motor vehicle will be at a premium. People will kill for the opportunity to move faster than a biking pace. Just think of the movie War Of The Worlds starring Tom Cruise. He had the only working car, and it wasn’t long before a violent mob stole it from him. If you drive a vehicle, only use it to get away from a dangerous area and never come back. And you better drive it to a secluded area. While the advantage of wheels is a big one after an EMP, you must also use it wisely or it could get you killed. Picture the world one year after an EMP and try to imagine what the 10% look like. Where do they live? What do they eat? How do they spend their days? Mulling over these questions will give you some great ideas on how to prepare. The truth is there is no way to assure that you are one of the 10%. Best bets are going underground in a well-hidden and well-fortified bunker for an entire year. That is no easy feat. Just the financing of a large bunker and the resources to go inside of it are enough to make the average person weak in the knees. All that said, even somebody in a bunker could still be found and killed. There is no bulletproof answer to becoming one of the 10%, but we have discussed some very important things you can do put the odds in your favor. I live in Saginaw Tx walking distance from the largest grain storage facility in the US with a military base nearby, It’s probably the best urban place to be. Plus a creek runs behind our neighborhood. Whow, Did I read that comment on on Biodiesel correctly? Biodiesel will NOT kill the engine, as a matter of fact biodiesel, properly produced can enhance the lubricity by as much as 67% over conventional petroleum based diesel. Since conventional diesel was reduced from 250 parts per million to 12, it has become recognized that there was the need to introduce lubricity enhancers. This will prove to be as bad for the air environment as the former. I wrote one of the definitive books on biodiesel production some 17+ years ago when there were but a few in America (22 0f us) that knew anything about the fuel and its value to man and the environment. Our diesel pusher has been running on our veggie oil based fuel for all those years, having driven thousands of miles, 5 trips Arizona to South Padre Island, Texas and back to teach in the summer, multiple trips to Oregon to teach production and a trip to Tulum, Mexico where we ran our Solar, Wind and Environmental business for many years. I know professional long haul truckers that have been using biodiesel for many years, to my knowledge not one of them have ever suffer a catastrophic loss of a engine due to biodiesel fuels. Albeit, they often use about 15% biodiesel to 85% petroleum diesel. Many of them tell me about the blessing of using biodiesel, the oil tells so many tails. How did do I know this…They all attended one of my classes, they went thru the lab work, enabling them to see the process and to observe after production testing of the final product. Is biodiesel a viable fuel source, that is debatable, just as ethanol is debatable, both rob foods from the masses, they both can often require massive injections of subsidies to remain afloat. I started out with a production cost of 49 cents per gallon, I forget what the alternate fuel cost at the time, but mine was quite low by comparison. Bare in mind that I have not included labor, plant installation, insurance, etc. In closing, if I were asked if I would do it again, unequivocally, Yes, of course Yes. The way I see it, to be in the 10%, you need to build up your resilience — your ability to roll with the punches, adapt and change. If someone “simply can’t” live without air conditioning or canned corn, or whatever, they’re more likely to be in the 90%. If you can’t bend, you’ll break. Water is more available but will need filtering. Get filters. Learn to use them. Food will be harder. As you stated, you can’t realistically store over a year’s worth. Plan on how to grow new food. Start now. Growing food takes practice to be productive. Don’t wait until the EMP hits to get out your “survival seeds”. Fail at gardening now, when it doesn’t matter. Learn from your failures. Be better at it when you need to be. Bullets. Yes, they’ll be a limited resource. So, don’t go shooting at every shadow. Conserve. If you’re living where there are likely to be regular gun battles, then you’re living in the wrong place. Move: now or after the EMP. Don’t just stay in a hot zone. Everything else — shelter, comforts, etc. — stay adaptable. You won’t be able to totally predict the ‘new world’. Plan on being MacGyver. That is an excellent article and spot on. A good video to watch is Mark Levin interviewing an expert, Peter Pry, on this subject. The interview was done on 04/22/18 on Life,Liberty and Levin. Its on YouTube. Also, something I never see or hear anyone talking about if this were to happen is. What about all the prisons? What happens with the prisoners? Just let them go? There is no way they can keep the prisons running. Now you have a bunch of inmates running loose. Many hardened criminals who will become even worse!!!! Then you have all the nursing homes with elderly people that need electricity. Drug attics that can’t get their next fix. I think the list is endless. I think people will need to band together and be ready to fight and do a lot of hard work. Thanks for the post. The prison example is real but the guards have order to kill the inmates in their cell no pleas for mercy no appeals.